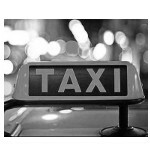 Here at ATM Taxis we are always trying our best to help our customers so we came up with a fantastic idea! So please could we take a minute of your time. If Graham could, do you think a taxi shop in Okehampton would be of use?!. When it's raining, cup of tea, coffee, chocolate, sweets, warm, wifi, you will get a taxi within ten minutes and have somewhere to wait! Interested replies welcome, many thanks for your time! The future in your eyes.